This article will cover commercial grease trap clogging. Regard for the environment has been the trend these past few years. The green concept has reached every industry imaginable—clothing, construction, publication, beverages, procurement, and food. When it comes to beverages and food, organic is the way to go. But even if this is so, food items are still made up of plant and animal fat. Various establishments have already decided to serve organic food at all times. This may prove to be more expensive than ordinary food establishments but organic and all-natural are what some customers look for already. It seems that eating healthy is what makes them patronize such places. But even as regular restaurants get replaced by these environmentally-friendly ones, FOG (fats, oils, grease) is still a problem. FOG has always been present in the food industry. Americans are very fond of eating and trying new things and the more they do, the more food establishments get erected—organic or not. And as food establishments fill the streets of the United States, the FOG crisis gets a lot worse. There is a crisis because the wastewater treatment facilities all over the country are being affected by the FOG overflows that come from the food establishments on a daily basis. This matter has moved the federal government to create the grease ordinance to mainly protect the wastewater treatment plants. Every food establishment has a commercial kitchen where all the food is prepared. This is the hub of the FOG that affects the wastewater treatment system. All owners of these food establishments are required by the grease ordinance to have grease interceptors or grease traps installed in their premises. These traps should have all the necessary permits from the local authorities and should be regularly maintained. Part of the maintenance routine is the regular inspection and the proper disposal of the FOG by a licensed hauler. If the grease trap is not well-cared for, FOG overflow happens. This is when the FOG from the trap mix with the untreated wastewater as it travels through the sewer pipes towards the treatment plant. The FOG sticks to the inner walls of the pipes and eventually blocks the normal effluent flow. The effluent backs up into the commercial kitchens and cause contamination and pollution in the establishment and surrounding areas. 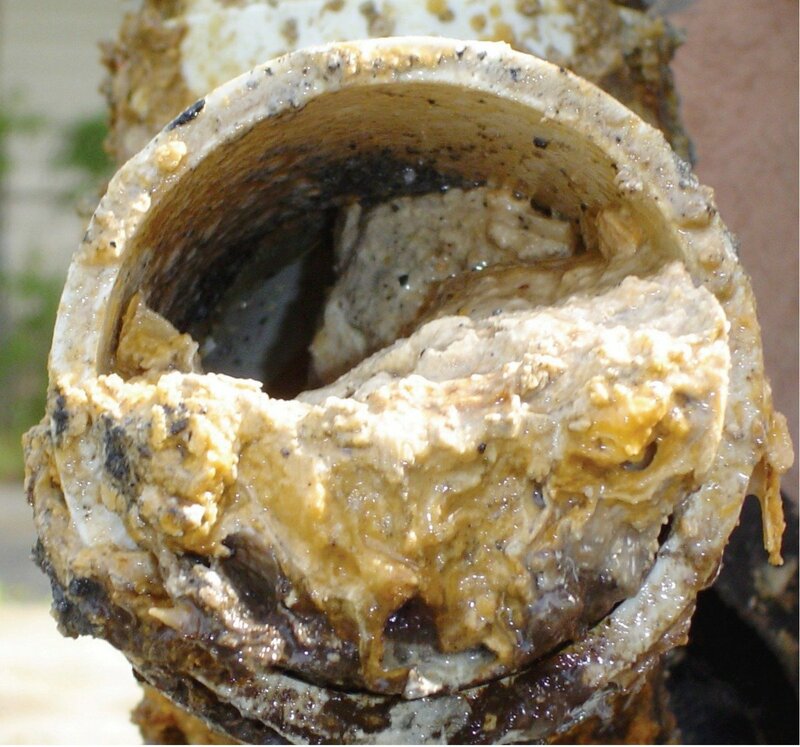 Commercial grease trap clogging is a common issue but this doesn’t mean that it has to be ignored. The consequences brought out by this problem are getting more and more complicated. It should be helped primarily by the people who work in the commercial kitchens. They should manually scrape off the grease materials from their equipment and from the used dishes and store them in a sealable container. The sealed containers could then be thrown with the regular trash. There should also be meshes or fine strainers installed in the commercial kitchen sinks so that the small particles of grease and food could be kept away from the grease trap. By practicing these, the amount of FOG and solid wastes in the grease traps will dramatically decrease. There will be no FOG overflow to worry about anymore. Another means to resolve commercial grease trap clogging is to use effective and safe additives. These are not the chemicals and enzymes that promise complete eradication of FOG. What their manufactures tell consumers are just exaggerations. The true effect of these products is the emulsification of the FOG, making it to easily combine with the effluent. The FOG then sticks to the inner pipe walls and when enough has accumulated, it blocks the normal effluent flow. Food establishment owners should use bacteria. Additives that have bacteria as their active ingredients are the most efficient grease traps cleaners in creation. Bacteria could completely eliminate commercial grease trap clogging and the foul smells that go with it. The environment is much safer with bacteria in the grease trap because it is environmentally friendly as well. Truly, commercial grease trap clogging can be stopped by going green with bacteria.